The Royal Botanic Gardens(RBG) Melbourne is a long-standing scientific and cultural institution with scenic verdant landscapes of living collections and dried collections of over 1.4 million specimens in the National Herbarium of Victoria. It extends over two locations, Melbourne and Cranbourne, and incorporates the Herbarium and the Australian Research Centre for Urban Ecology (ARCUE), based at The University of Melbourne. It plays a vital role in the study and conservation of Australia’s plant life, enriching our understanding of native plants, especially in Victoria. The Enterprise Image Database (EID) is a project developed by the RBG for image control and management, initially for internal use and ultimately as a public resource. 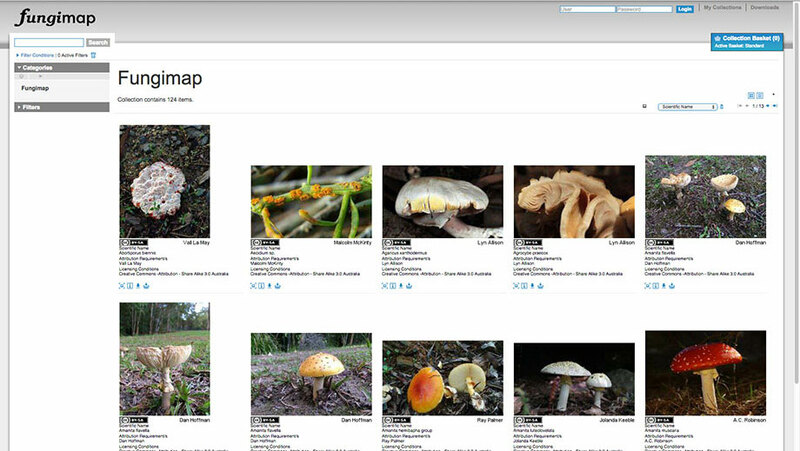 It is linked from the National Australian Fungimap Database, managed by RBG – an important and unique collection of information about Australia’s fungi and an interactive website that encourages people to contribute their own photos and descriptions to add to the database. With thousands of images being captured and stored on different media every year, finding anything took an inordinate amount of time – the filing system did not provide searchable criteria or metadata, so looking for something specific was only as successful as someone’s memory. RBG became more and more concerned with not only how to provide for efficient storage and retrieval of the images, but also with the short lifespan of presently used storage media – mainly CD-ROM. A suitable image management system was needed through which staff could easily find and access images any time they were needed. It was important that images contained the necessary copyright information for publications, were attributed correctly, and were assessed in regard to privacy constraints. After a lengthy procurement process, RBG chose the Canto Cumulus DAM system for their Enterprise Image Database, supplied by solutions provider DataBasics. RBG decided to start with a pilot catalogue for one area of the business, to be followed by other divisions of the organisation. At first, the Marketing and Communications team set up a pilot catalogue and different catalogues were set up to deal with privacy and image permission issues. This was followed by the Fungi catalogue, which was setup to publish selected public images online using Cumulus Sites. Cumulus’ reach is now being extended across all RBG operational divisions. More recently, the Roboflow add-on was purchased for its ability to provide an automated workflow in Cumulus – to perform a series of actions and functions across the database. This has enabled RBG to create a global “drop folder” where the Cumulus administrator can define rules and control what happens. It is especially relevant when plant names change and those changes need to be reflected in all catalogues and datasets. As all digital assets are ingested into Cumulus, it automatically adds records for each asset, generating thumbnails for the light table view, extracting embedded metadata, such as camera data, capture date, etc., and transferring information about author rights, image title and description, if this data was previously attributed to the digital asset. Cumulus then records further metadata such as copyright information. These assets function as the data source for all further applications, from publication to research. The resulting datasets are only used by RBG at present. For organisation-wide searches by any internal user, editors select and tag specific records to be automatically available to all those with appropriate permissions. A further selection of media files, to be internet-accessible to the public, is also tagged accordingly. Cumulus ensures they are always available and up-to-date. The major advantage of using Cumulus as the single data source for digital assets is that any necessary amendments are made in only one location before automatically being applied across all linked systems instantly, without the need for making further changes elsewhere. 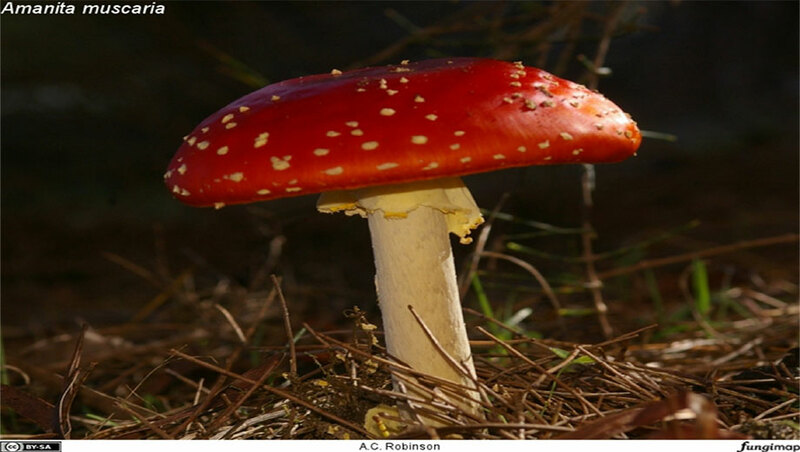 The fungimap images are available for viewing online. The public dataset is managed by RBG staff who acknowledge image contributions made by volunteers in the field. At the time of writing, RBG is already experiencing an increase in productivity by saving time and increasing efficiency. Ingesting the thousands of images will take some time. However, time to access and select already ingested images is significantly lower using the Cumulus search function, and the images may be used with confidence as they contain the necessary copyright information for publications, are attributed correctly and have been checked as to their privacy constraints. All assets have their own clear space in the DAM system, simplifying the work of RBG Marketing and ultimately the whole organisation. And there is no worry about backup or decline of storage media. In the long run, RBG sees its investment paying for itself many times over. In the future, RBG plans to make most of the images available online under the Creative Commons Australia 3.0 licence, with some images available for a fee.